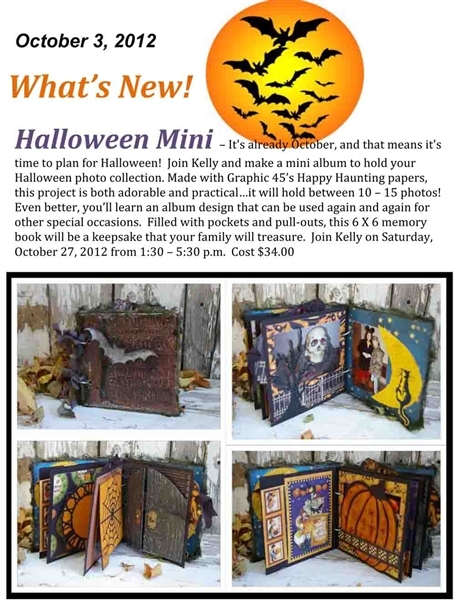 Here’s a shocking announcement: I designed 2 Halloween mini albums! 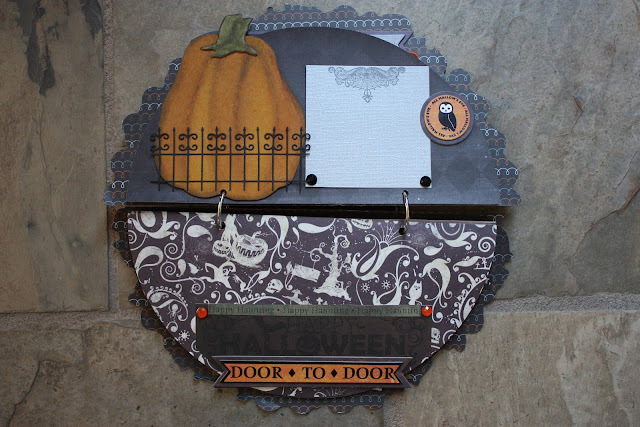 This October kit also includes black, silver and orange card stock, some gems, ribbon, tulle, a little WRMK “Cobwebs” stamp set, raw chipboard pumpkins and “Black Widow” chipboard stickers. The pumpkin is raw chipboard cut from a Sizzix Tim H. die. I inked it with Distress inks. 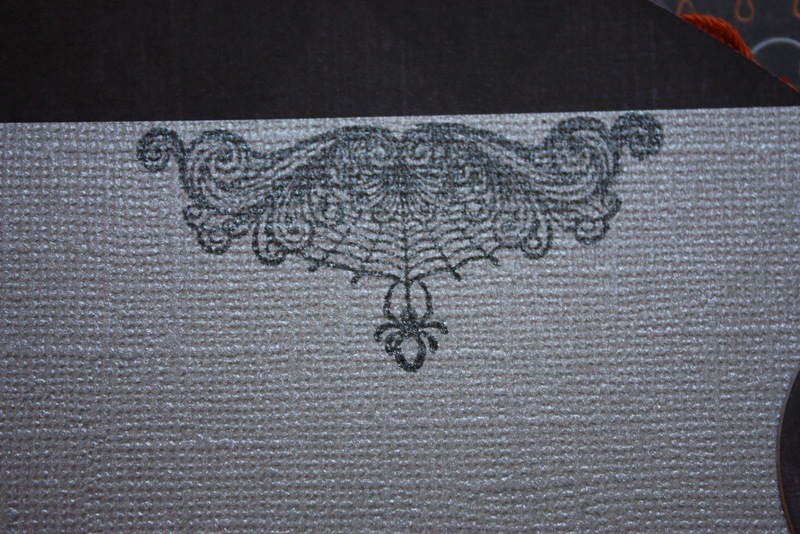 One of the 3 stamps in the WRMK “Cobwebs” set, stamped with Versafine Onyx Black. 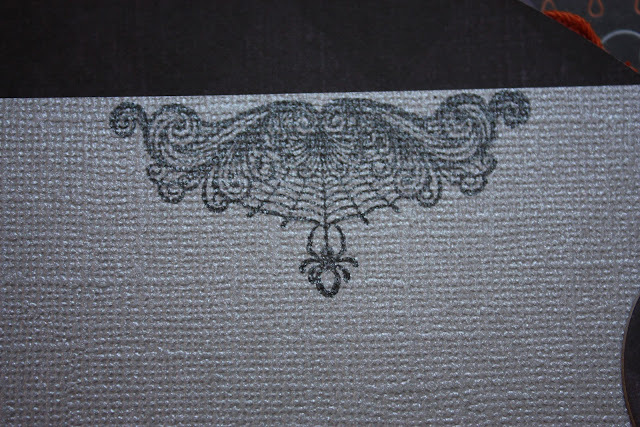 The little wrought iron fence is cut from black card stock with a Memory Box die. The bats are stamped onto the photo mat. The witch is the 3rd stamp in the set. I adhered a half circle of black card stock to both the front and back inside covers of the album so they would be more durable. Click HERE to visit the Urban blog and see the other wonderful projects from the Design Team. 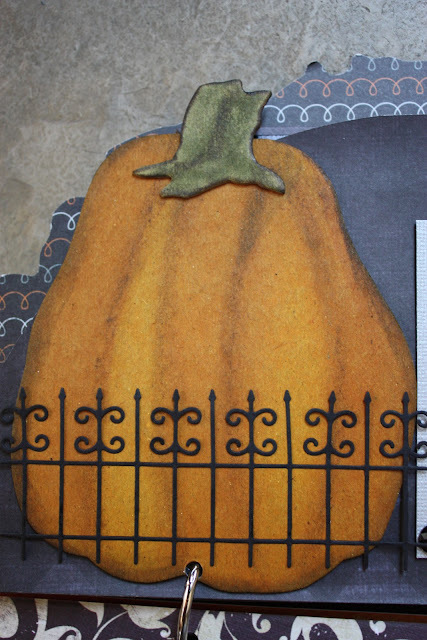 There’s still time to pick up this October kit at The Urban Scrapbook. You’ll love it! Sweet mini albums…I should make one some day! Beautiful Kelly…your albums are awesome. I have never made a mini and wouldn’t know where to start! Very pretty Kelly. 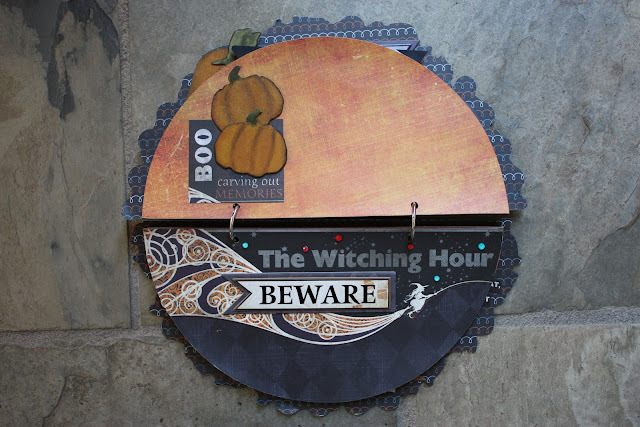 Particularly like the cover “the Witching Hour” and the cob web stamp. KELLY!!!!! I absolutely LOVE both of your amazingly wonderful and creatively spooky albums!!!! You created Halloween masterpieces here! Thank you so much for sharing them with us! Kelly, that album is gorgeous! I love everything about it! Wowzer! I can’t wait to see the other one too. You truly inspire me! WOWZERS oh WOWZERS! BOTH these albums could not be more FABULOUS! wow awesoem album with many details !! oh this is just gorgeous Kelly…cant wait to see the other one too ! What an awesome mini!!!! Very cool!! I love the spooky mini album. All the techniques are awesome, especially the stamp and chipboard elements. I always love visiting your blog and seeing what fabulous projects your working on. I miss all the papers,scissors and glue! Your album turned out so cute. The cover is AWESOME. Love all the details throughout. Beautiful work. This album is gorgeous Kelly! Your work is amazing! !